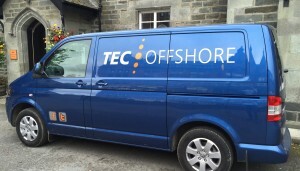 A team from TEC Offshore took the TEC Offshore van to help the Highland Perthshire Marathon and Half Marathon on 6th September 2014. The race has become a major event in the area raising much needed funds for many charities. TEC Offshore are proud to have played their part in a very successful day.